James was educated at McGill University and the Montreal Museum of Fine Arts School of Art and Design. During that time he taught photography at Vanier College. From Montreal he moved to New Orleans and then NYC, where he worked as a professional photographer for five years. In 1980 he began building sets for off-Broadway theaters and photo shoots and pedestals for art galleries. This evolved into a full-time business as a woodworker. 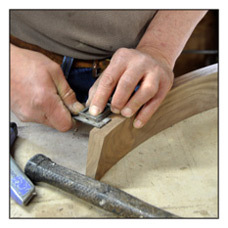 For the next twenty years James ran his own business as a custom cabinet and furniture maker in New York City. The City presents a cabinetmaker with the unique challenge of working in everything from tiny studios to lavish penthouse apartments. James’ widely varied clientele has given him a unique ability to accommodate a multitude of spaces and styles. 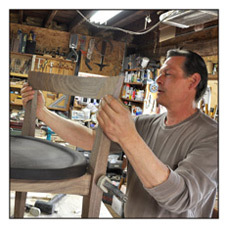 His work can be seen in a variety of spots from exterior doors in Tribeca, store furnishings in SoHo, to homes in NYC, the Hamptons, upstate NY, and Connecticut. In 1993 James began turning bowls as a hobby and studied with master turner David Ellsworth of Bucks County, Pennsylvania. He turns hollow turned vessels which magically transform aberrant pieces of wood into elegant forms. These vessels came to the attention of Designer Donna Karan, who put them in her exclusive home goods store in NYC. They are also sold at stores in Brazil and CT. 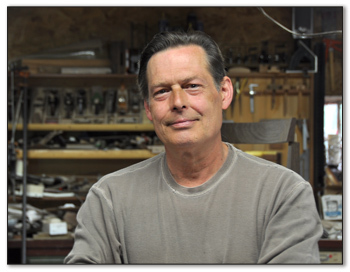 In 2002 he relocated to CT and took a position in a high end millwork shop. The time spent managing this shop broadened his ability to produce large-scale projects. 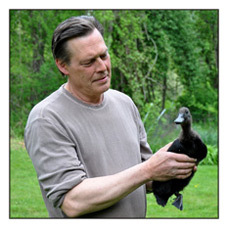 He reestablished his own business in CT in 2006. James is available to make custom furniture and cabinetry. 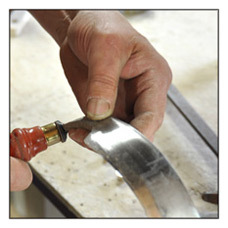 He can be reached by e-mail (jwurzbach@aol.com) or phone (347-268-9721) to discuss your custom project.